This book, this book, this book! I loved this book so much. From the very first few pages to the very end, I was swept up in the amazing world and story created by Renee Ahdieh. It was impossible not to fall in love with all the characters, especially the “monster” boy-king Khalid. Main character, Shahrzad, has a plan. She will do what it takes to avenge the murder of her best friend Shiva. A death that was carried out by the king, Khalid. In order to follow through, she volunteers herself as the next “queen” and face Khalid and hope that she survives past dawn. With her mesmerizing storytelling ability, Shahrzad has not only bought herself more dawns and time, but she seems to have captured the attention and heart of Khalid. When Shahrzad sees Khalid in a different light than that of which she has only known, her interest in Khalid grows, which not only surprises her, but surprises also the king and those around them. But the new life that Shahrzad is creating for herself is one that her past relationships will not understand. As Shahrzad gets closer to Khalid, Tariq (a man who Shahrzad has been in love with since she was 12 and hasbeen good friends with) sets out to rescue his love, and to kill the monster boy-king. A king who kills a different wife every day, and whom he fears will kill his beloved Shahrzad. With an old love coming to save her from a life that she doesn’t want to leave, and a king who has a secret so dark that the truth may only seal his fate, Shahrzad’s loyalties are tested, and what she finds is something she did not expect to find. I just have to say it again. I loved this book so much! What I loved the most was the way the author brought forth so many different emotions in me. For example, in the beginning, the reader is taught to believe in one “side” of Khald, Caliph of Khorasan, the King of Kings, the monster boy-king. The unforgiving, brutal, savage beast that is known to kill an innocent woman every night with no remorse and no regrets. That no woman is safe and that all should live in fear. But as we progress through the book, the truths that Shahrzad learns are ones that of course the reader learns too. Shahrzad’s eyes are opened, as were mine! She slowly fell, and so did I. I came to adore Khalid and felt so much pain and sorrow for him. To have lived through what he has had to live through, to have so much burden on his shoulders and knowing that the only way to make things right is to do something that he does not want to do. I also fell in love with his words, and the way he speaks to Shahrzad. It showed us the softer side of Khalid that you can’t help but adore. He is sweet and tender, and conflicted and trying to be a better man…for her. His Queen… his joonam. And for those of you looking for a headstrong female lead, then Shahrzad is the one for you! She will not rollover and give up. She fights for what she wants, successfully might I add. She is smart and calculating, and is no dummy. She sees what’s before her and understands what needs to be done, and still she continues to be strong and unafraid. I thoroughly enjoyed her character too! Not only were the main characters an amazing pairing, but the other characters in the book were just as memorable. They all clicked together, like a good movie pairing should. In fact, what would I not give to see this book become a movie! If it played out exactly how I pictured it in my mind as I was reading, then it will definitely be an epic film. 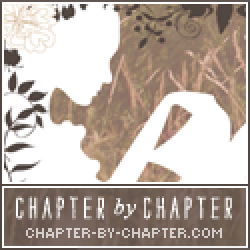 The writing style of author, Renee Ahdieh, was flawless and flowed smoothly from chapter to chapter. The interactions between the characters were realistic in feeling and is what made the book for me. I also enjoyed the “story within a story” feel in the beginning when Shahrzad had to weave her tales to save her life. I recommend this book to readers that are looking for something that will carry them away to a world that is unforgettable, and to find characters that I dare you not to love. 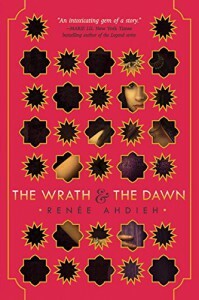 If you’ve heard of the Arabian Nights (or A Thousand and One Nights) then you already know the premise of author Renee Ahdeih’s The Wrath & The Dawn. If you haven’t heard of the Arabian Nights, then simply imagine this: a kingdom ruled by a king who marries a new girl each day only to murder her the following dawn. Shahrzad, is the next girl meant to wed him but unlike the others, Shazi has a plan meant to ensure her survival and the king’s downfall. If that doesn’t already intrigue you then I don’t know what will. Ahdeih’sThe Wrath & The Dawn is a novel that grips you right from the very beginning and never lets you go. After the murder of her best friend at the Caliph of Khorasan’s hand, Shahrzad creates an elaborate plan that will ensure her vengeance. Agreeing to wed the Caliph next, Shahrzad survives through telling him stories and barely finishing them as dawn arrives, allowing herself a new day to survive. While disorder brews within the Khorasan and the people closest to Shazi plot a way to return her home, she finds herself growing unwillingly closer to the Caliph—Khalid: a man who first appears to be a monster has the potential to be something else entirely. There are bits of humanity beneath his calloused exterior and as Shazi delves deeper into the mystery behind the murders at dawn, the more she finds herself falling for her husband, the Caliph, and questioning her own sinister intentions. Immediately it’s Ahdeih’s writing that grips readers and never lets them go. Her prose is fluid and elegant. Each word exquisitely chosen and pulling the story forward. Every detail is beautifully described and leaves everything and nothing to the imagination. The Wrath & The Dawn is a well-written, lyrical story that leaves readers guessing and on the edge of their seats until the very last page. We watch Shazi’s life within the Caliph’s palace; we witness the beginnings of a rebellion with her childhood friend and love Tariq; readers are left to wonder what could possibly come next out of all this. The storytelling in The Wrath & The Dawn brings the characters to life. Every character in the entire cast from the Theban handmaiden Despina to our protagonist Shazi to the Caliph himself, all hold an aura of realism that is seldom seen in fiction. It’s wonderful and instantly makes you connect with the characters. In a novel where a king kills a bride each day at dawn, readers can only wonder if everyone will make it out of the story with their lives. This only adds to the suspense. The Wrath & The Dawn has it all. Romance. Action. Adventure. Thrills. Plot twists. Even elements of magic. It’s a novel that has something for everyone. Not to mention the “will they won’t they” chemistry between Shazi and Khalid leaves you questioning your morals. Can you really fall in love with a man (and character) who murdered the protagonist’s best friend? Can you really fall in love with the monster and the man inside? Is there more to it? The mystery leaves you reeling! And once the truth is revealed… Such a good book. Hands down, The Wrath & The Dawn is one of the best releases of 2015. I would recommend The Wrath & The Dawn to readers who are looking for a novel that they can genuinely lose themselves in. Readers who are looking for a lengthy novel that they could very easily finish in one siting should also give it a look. Readers who are fans of stories that include romance, action, and mystery with some fantastical elements will fall in love with The Wrath & The Dawn.